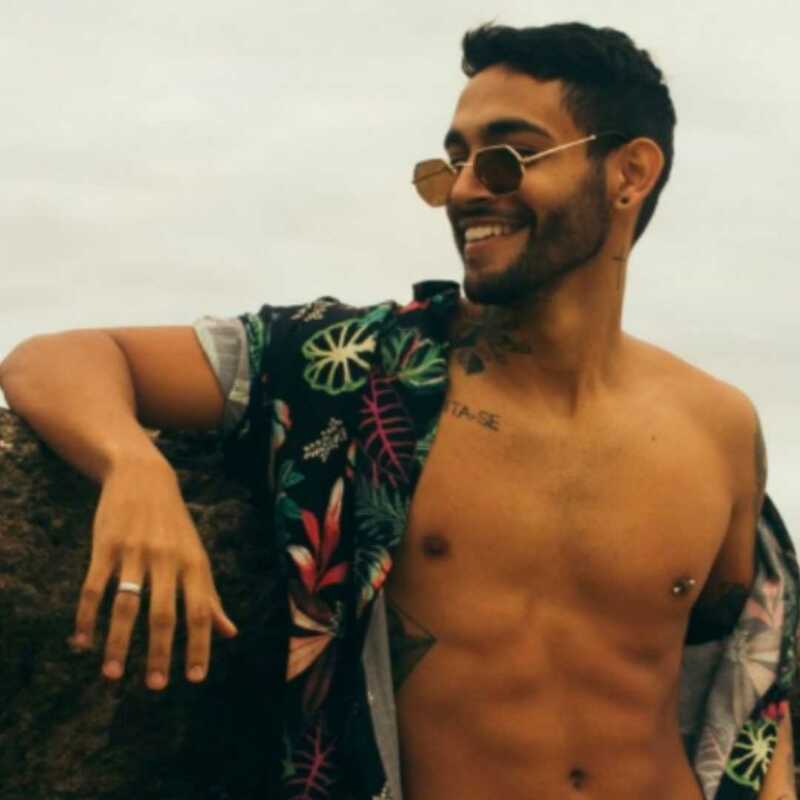 RACELLA is a singer-songwriter, composer, and music producer based in Los Angeles. 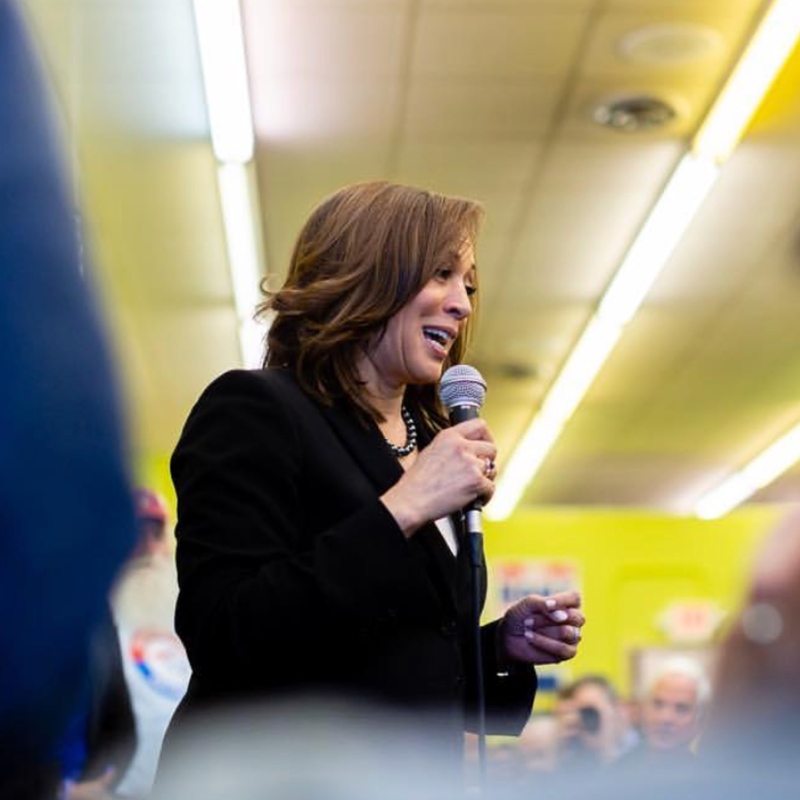 She was born in the small town of Delano, California and was raised in a Filipino Household. 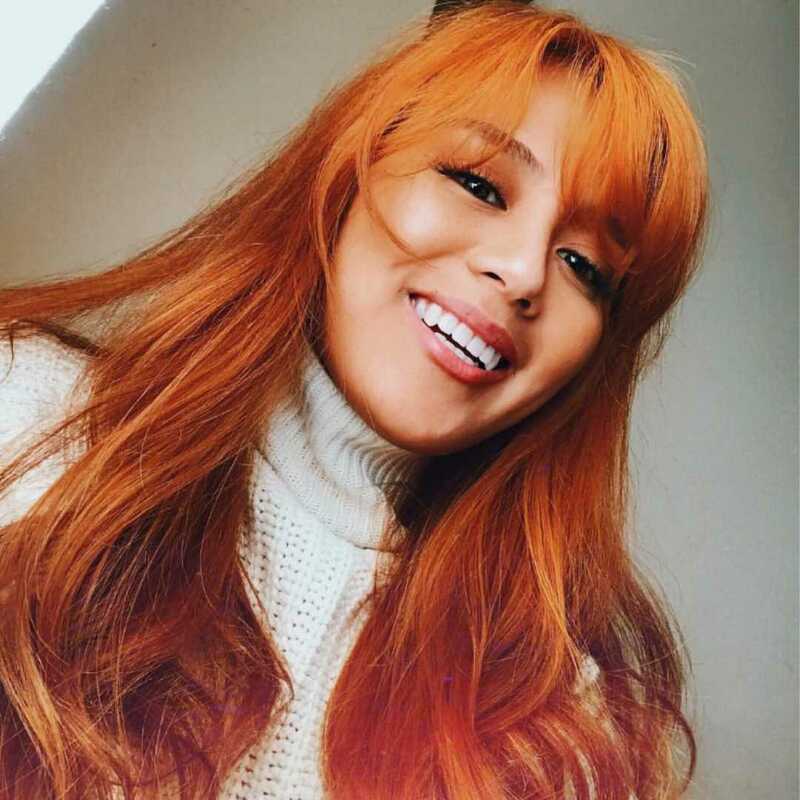 Upon receiving her degree from California State Univerity, Bakersfield, she moved to LA to pursue her passion for singing and songwriting. She found herself working with DJ Mormile, Fakework Management (Mike Will Made it, Rae Sremmurd, S1, Swiff D, and YG). In 2015, Racella got married to her best friend, Cesar. Unfortunately, a few weeks later he got into a catastrophic car accident, which caused him to undergo heart and spinal surgery. He only had a 10% chance of living. The thought of leaving him alone in the hospital was unbearable. She was determined to stay with him until he was ready to go home with her. Instead of succumbing to fear and doubt, she used all her energy on prayer and writing music on the phases and waves they experienced together. She wrote, “Can’t Do This On My Own (CDTOMO)” at the edge of Cesar’s hospital bed. That’s where the WAVES EP was created. This entry was posted in Uncategorized and tagged #representasian, album, Asian, can't do this on my own, car accident, cdtomo, college, Delano CA, Dem Jointz, dj mormile, empowerment, ep waves, fakework Management, female, Filipino, graduate, Grammy, husband, la, lifestyle, Los Angeles, Mike WiLL Made-It, millennials, music producer, Philippines, racella, Rae Sremmurd, record, recording artist, singer, single, songwriter, Southeast Asia, Swiff D, vocals, YG on January 31, 2019 by wp360mag. 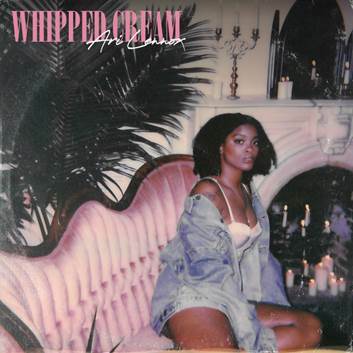 Ari Lennox’s acoustic release of “Whipped Cream” has us jumping in our seats. The American singer and songwriter says the following, “‘Whipped Cream’ is my little baby that expresses how I feel about an ex that I’m still not over,” says Ari. Oh…the FEELS. The song is the latest release from the Washington D.C. native who dropped her debut EP, PHO, in late 2016. PHO showcased Lennox’s immense talent while highlighting her position as the only female and sole vocalist of her crew. Listen to the acoustic music here. Check out her official website here. This entry was posted in Uncategorized and tagged 360, 360 Magazine, acoustic, American, Ari Lennox, artist, Feelings, female, guitar, music, new, performance, pho, release, show, SING, songwriter, Tenzin Tsephel, Vaughn Lowery, Video, vocalist, Washington D.C., Whipped Cream, YouTube on August 30, 2018 by wp360mag. Female racing driver Aseel Al Hamad celebrated the end of the ban on women drivers with a lap of honour in a Jaguar F-TYPE. Aseel, the first female board member of the Saudi Arabian Motor Federation, had never driven on a track in her home country before. Aseel joined Jaguar in a call for June 24th to be known as World Driving Day – a day when finally, the whole world can enjoy the thrill of being behind the wheel of a car. On World Driving Day Jaguar invites people to share a memory of their best driving moment (image or anecdote) using the #worlddrivingday. This entry was posted in Auto and tagged 360 Magazine, ACES, Aseel, Aseel Al Hamad, Atrin Yazdani-Biuki, autonomous, car, Connected, Customer Experience Director, driving, Electrified and Shared future, female, Fiona Pargeter, historic, Historic Drive, history, jaguar, Jaguar F-TYPE, Jaguar Land Rover, mobility, pop culture, Privilege, race car, racer, racing driver, Riyadh, Saudi Arabia, Saudi Arabian Motor Federation, spokesperson, university, Vaughn Lowery, women, World Driving Day on June 27, 2018 by wp360mag. Today, ALMA also announces an anticipated tour with stops in New York, Los Angeles, San Francisco,Chicago, and more. Stay tuned this Friday, March 2 for general on sale – with top Spotify fans receiving a priority presale today! 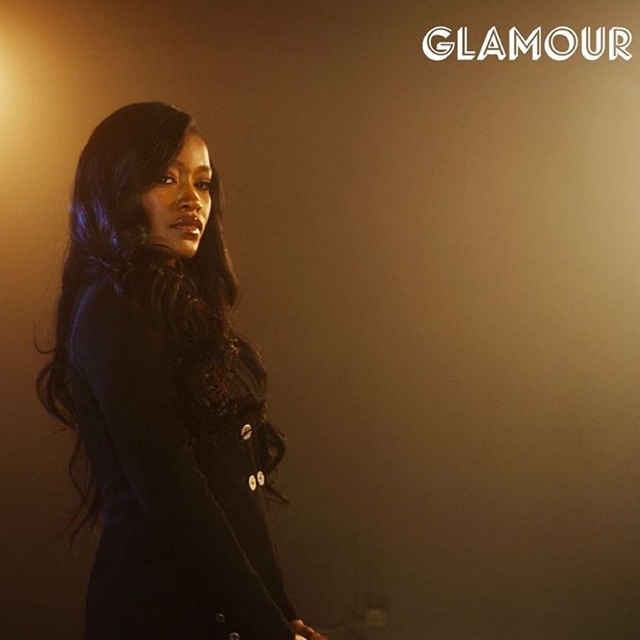 Following the release of critically acclaimed singles “Chasing Highs” & “Phases”, ALMA has garnered over 170 million combined Spotify plays, and topped iTunes charts around the world. 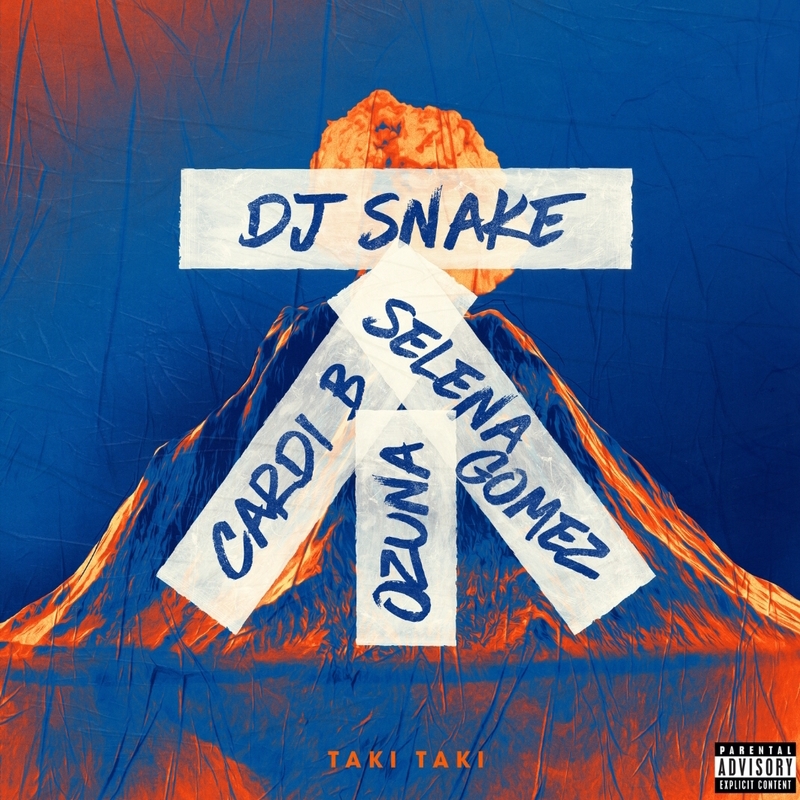 Undeniably one to watch, she landed on the prestigious BBC Music Sound of 2018, received the award for “Best Finnish Act” at the MTV EMA awards, and was named an “Artist To Watch” by VEVO DSCVR. 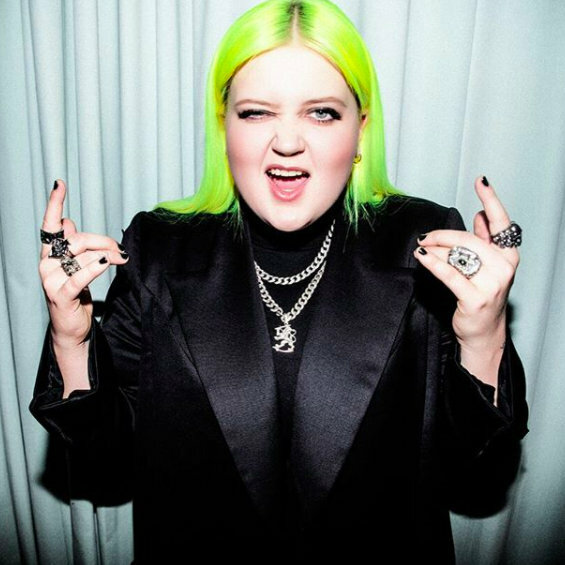 Heavy Rules is set to continue ALMA’s momentum as she leads the charge of a new generation of fierce, female led pop music. This entry was posted in Uncategorized and tagged & PME, 360 Magazine, ALMA, Alma-Sofia Miettinen, Amsterdam, art, artist, artist to watch, Back2U, BBC Music Sound, berlin, Best Finnish Act, California, Casablanca Records, Chasing Highs, Chicago, Chit Chat, collaboration, collection, composer, Copenhagen, culture magazine, Dallas, Dance For Me, Deezer, Dye My Hair, edgy fashion magazine, empowerment, europe, Facebook, Fake Gucci, featuring, female, Finland, Germany, Glasgow, Good Vibes, Google play, Hamburg, Heavy Rules, Helsinki, iheartradio, INSTAGRAM, international, iTunes, Johanessburg, Kiiara, Kuopio, legend, London, Los Angeles, manchester, Miami, Milan, mixtape, Mo, mtv, MTV EMA awards, music, music video, musician, Netherlands, New Album, new generation, new music, New Release, new single, New Song, New York, new york city, newmusic, Norway, Oslo, pandora, Paris, Phases, play musique, pop, pop culture, pop music, powerhouse, producer, record, recording artist, release, Republic Media, Republic Records, San Francisco, Scandinavian, singer, social media, song, songwriter, soundcloud, Southern California, spotify, Stockholm, Sweden, Toronto, tour, tour dates, Tove Styrke, track, Tracklisting, tunein, Twitter, UK, United States, universal, universal music, Universal Music Group, USA, Vaughn Lowery, VEVO DSCVR, virgin emi, Young, YouTube on February 26, 2018 by wp360mag. Since 2004, Macy’s has raised $65 million to support Go Red For Women in the prevention of heart disease in women. Macy’s unites customers and associates this February for American Heart Month in support of American Heart Association’s Go Red For Women movement. As the founding national sponsor of Go Red For Women, Macy’s has helped in the prevention of heart disease by raising $65 million since 2004. Fortunately, 80 percent of cardiac events may be prevented with education and lifestyle changes, according to the American Heart Association. This year, Macy’s will continue to offer limited-edition merchandise and promotions to benefit Go Red For Women, helping to fund lifesaving research and awareness that adds more time to women’s lives. Macy’s encourages customers and associates to participate in the Wear Red Sale in-store from Wednesday, Jan. 31 to Monday, Feb. 5, with a pre-sale beginning on Sunday, Jan. 28. Customers can wear red or purchase the official Red Dress pin for $3 to receive 25 percent off a great selection of items storewide, plus an extra 15 or 10 percent off select departments. Exclusions and restrictions apply. One hundred percent of the pin sales will benefit Go Red For Women. New this year, customers will receive an additional pin to share with a loved one to help spread awareness of the cause. Macy’s associates are invited to wear red in-store to create further awareness of the pin sale and celebrate National Wear Red Day on Feb. 2. Additionally, Macy’s will invite customers to round up their in-store purchase to the nearest dollar (up to $.99) and donate their change to Go Red For Women from Tuesday, Feb. 6, through Feb. 28. Throughout the month of February, Macy’s will offer exclusive products in stores and online to benefit Go Red For Women. This year, two limited-edition red dresses by Calvin Klein ($134) and Thalia Sodi ($99.50) as well as a specialty t-shirt from Thalia Sodi ($29.50) will give back to the cause. From Feb. 1 through Feb. 28, 10 percent of the purchase price from these limited-edition items will be donated to Go Red For Women. Raising additional funds for the cause, Go Red For Women Luncheons will take place in 188 cities across the country. Each luncheon guest will receive a $10 Macy’s gift card and hear from captivating guest speakers. At select luncheons, attendees will have an opportunity to win a $250 Macy’s gift card. 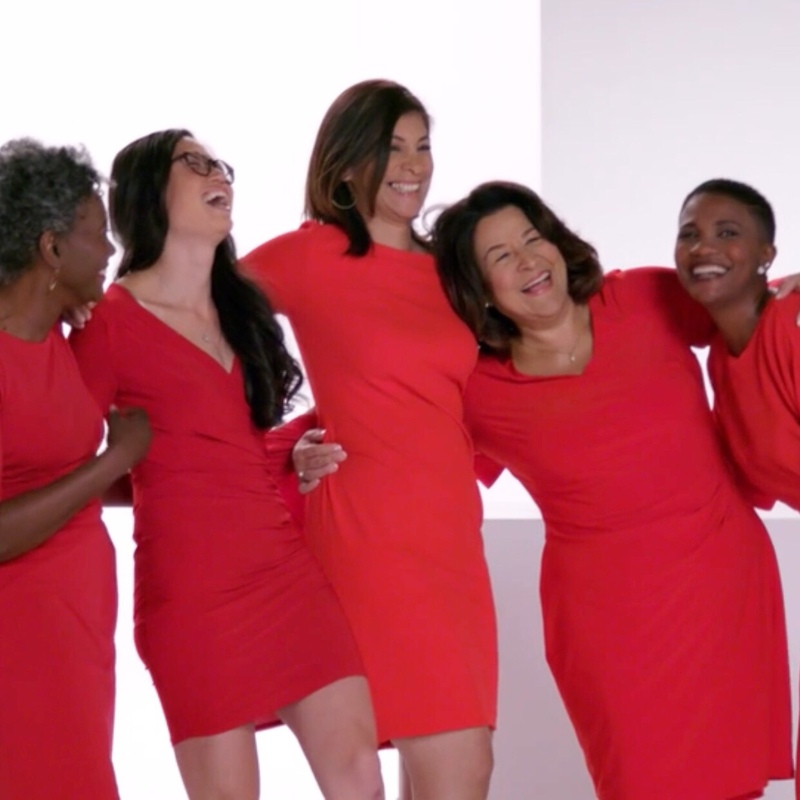 As the presenting sponsor of the American Heart Association’s® Go Red For Women® Red Dress Collection™, Macy’s helps shine a spotlight on the issue of heart disease in women. The Red Dress Collection has kicked off New York Fashion Week since 2003 and will be staged this year on Thursday, Feb. 8 at 8 p.m. at The Hammerstein Ballroom in New York City. The star-studded event will feature strong and inspiring female celebrities walking the runway to showcase emerging and established designers. Three of the red dresses featured on the runway will be created by designers in fashion incubator programs, which are housed at Macy’s locations and develop the next generation of fashion trendsetters. The designers-in-residence featured are Dur Doux from DC Fashion Incubator, Lia Larrea from Fashion Incubator San Francisco and Tanesha Prunty from Chicago Fashion Incubator. For more information about Macy’s programs to support Go Red For Women, visit macys.com/GoRed. Macy’s, the largest retail brand of Macy’s, Inc. delivers fashion and affordable luxury to customers at approximately 670 locations in 45 states, the District of Columbia, Puerto Rico and Guam, as well as to customers in the U.S. and more than 100 international destinations through its leading online store at macys.com. Via its stores, e-commerce site, mobile and social platforms, Macy’s offers distinctive assortments including the most desired family of exclusive and fashion brands for him, her and home. Macy’s is known for such epic events as Macy’s 4th of July Fireworks and the Macy’s Thanksgiving Day Parade, as well as spectacular fashion shows, culinary events, flower shows and celebrity appearances. Macy’s flagship stores – including Herald Square in New York City, Union Square in San Francisco, State Street in Chicago, and Dadeland in Miami and South Coast Plaza in southern California – are known internationally and are leading destinations for visitors. Building on a more than 150-year tradition, and with the collective support of customers and employees, Macy’s helps strengthen communities by supporting local and national charities giving more than $54 million each year, plus 180,000 hours of volunteer service, to help make a difference in the lives of our customers. In the United States, cardiovascular diseases kill approximately 1 in 3 women each year. Go Red For Women is the American Heart Association’s national movement to end heart disease and stroke in women. Cardiovascular diseases in the U.S. kill approximately one woman every 80 seconds. The good news is that 80 percent of cardiac events may be prevented with education and lifestyle changes. Go Red For Women advocates for more research and swifter action for women’s heart health. The American Heart Association’s Go Red For Women movement is nationally sponsored by Macy’s and CVS Health, with additional support from our cause supporters. For more information, please visit GoRedForWomen.org or call 1-888-MY-HEART (1-888-694-3278). This entry was posted in Feature and tagged 360, 360 Magazine, American heart association, cardiac, designers, Diana Macaraeg, dress, dur doux, fashion, Feature, female, go red for women, health, heart disease, Macy’s, New York Fashion Week, retail, strength, tanesha prunty, Vaughn Lowery, wear red sale, women on January 23, 2018 by Pitch360.